Join OMCA for the 18th annual Lunar New Year celebration, a fortune-filled family-friendly event to welcome in the Year of the Pig. Celebrate with spectacular cultural performances, demonstrations, traditional and contemporary music and dance, and much more. Explore connections between the diverse Asian cultures represented in California, including Chinese, Tibetan, Korean, Vietnamese, Malaysian, Japanese, and more. 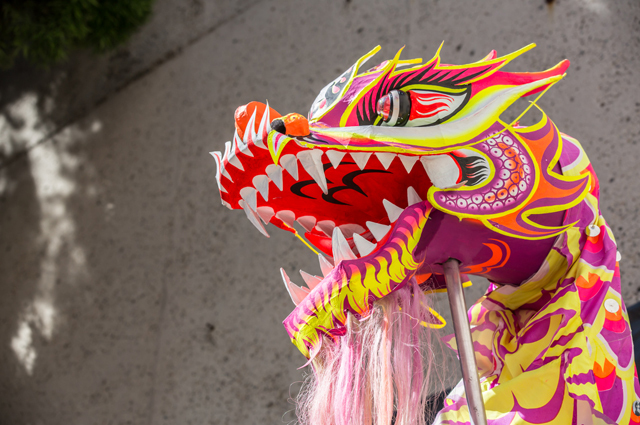 Enjoy spectacular lion and dragon dances by the Developing Virtue Secondary School, Chinese acrobatics by local favorite Red Panda Acrobats, traditional Vietnamese instruments by Emmy-award winning composer Van-Anh Vanessa Vo, and a magic show by Perry Yan the Magician. Hear author Oliver Chin’s story about the Year of the Pig, watch K-pop dance performances by student groups from UC Berkeley and Vietnamese martial arts demonstrations by Vovinam America, and enjoy a petting zoo with farm animals.